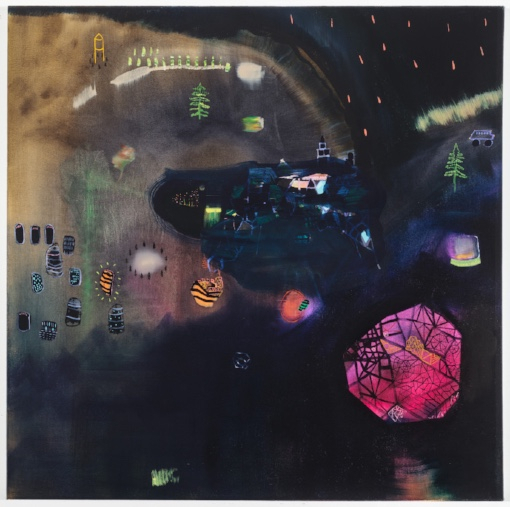 Annie Ewaskio (Brooklyn) is a painter who explores strange journeys through a mythical alter ego of the United States. Increasingly, the scenes depart into multilayered eras of Arctic exploration. The settings are reachable only in our imaginations, or the Internet­­ – supernatural spaces, many of which have been completely altered either by material objects within them or by far-away activity.